Whether you’ve just been in an accident or bought a used car with some damage, car body repairs are a part of vehicle ownership. When car accidents or minor scrapes happen, there are several body parts which usually absorb the brunt of the incident. At Pfaff Autoworks, we make it our mission to provide our clients with high quality collision repair. With our state-of-the-art equipment and machinery combined with our highly knowledgeable technicians, you can drive your car away looking like new! In this article, we will be talking about some of the common damage areas on vehicles in a collision. It makes a lot of sense the front bumper tops the list. Most accidents involve at least one traveling forward and the front bumper is the first thing to receive the impact. Collisions are not the only cause of bumper damage, though. Inattentive driving can result in scraping the sides of a bumper, leaving ugly marks many owners would rather be without. Nobody likes being rear-ended, but rear bumpers sure get damaged a lot. 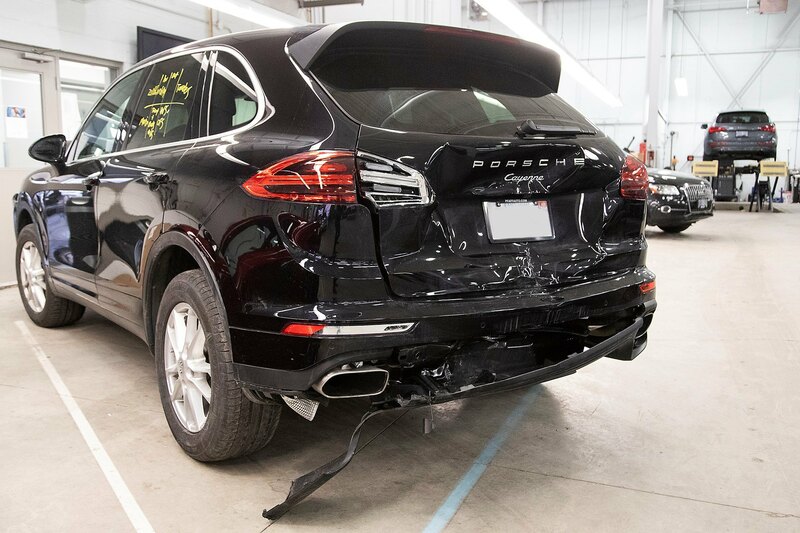 Whether it’s from backing into a post, dumpster or another vehicle or from a minor crash, rear bumpers get cracked, dented and destroyed fairly often. What many people consider the bumper is actually just a plastic cover for the functional part of the bumper. There is a thick foam pad underneath the plastic cover. This layer of foam is actually what protects you in an accident. If you have been in a crash or bought a car with a cracked bumper, you should get the bumper checked. Hood damage happens for all kinds of reasons. While car accidents are the obvious cause of crumpled hoods, hail and other falling objects can put serious dents in a car’s hood. Instead of writing off these imperfections as cosmetic, owners should be careful lest the hood not latch closed properly. If you are ever involved in an accident severe enough to pop your trunk open, be sure to get the latch inspected. As with hoods, an insecure trunk can open while you are driving. Spending a small amount now on a replacement truck deck and latch will save you a lot of trouble down the road. If you have recently been involved in a car collision, and you are in need of collision repair for any of these body parts, then Pfaff Autoworks is the pace for you. 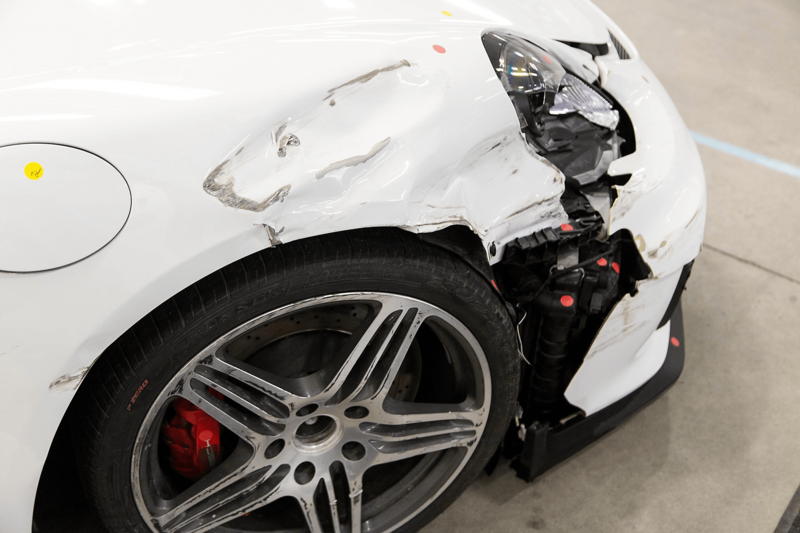 Let our professional team repair your damaged vehicle back to its original condition. Click here to find our contact information or to fill out our contact form.